ZTE Blade V7 Max & V7 Lite Smartphones Revealed! On May 12, 2016, ZTE officially revealed the ZTE Blade V7 Max and V7 Lite smartphones. The ZTE Blade V7 Max is a 5.5″ smartphone with a full HD IPS display, an octa-core processor, 3 GB of RAM and 32 GB of flash storage, while the ZTE Blade V7 Lite is a 5″ smartphone with a HD IPS display, a quad-core processor, 2 GB of RAM and 16 GB of flash storage. But that’s just their key specifications. Let ZTE explain the unique features in these two new smartphones! Don’t forget to check out our First Look At The ZTE Blade V7 Max & V7 Lite Smartphones article! Kuala Lumpur, 12 May 2016 – ZTE Corporation Sdn. 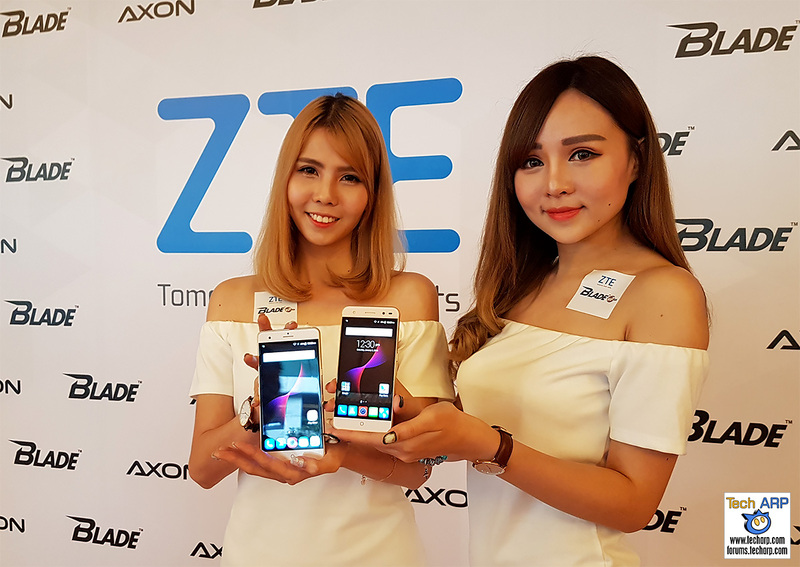 Bhd., one of the global leaders in the mobile handset manufacturing industry, today unveiled the anticipated ZTE Blade V7 series in Malaysia. The launch is in line with ZTE’s commitment to provide Malaysians with quality affordable smartphones. With features that are anything but “lite”, the Blade V7 Lite is a 4G LTE dual sim dual standby phone which is powered by 1.3Ghz quad-core MediaTek MTK6735P processor, 2GB of RAM and runs with Android 6.0. 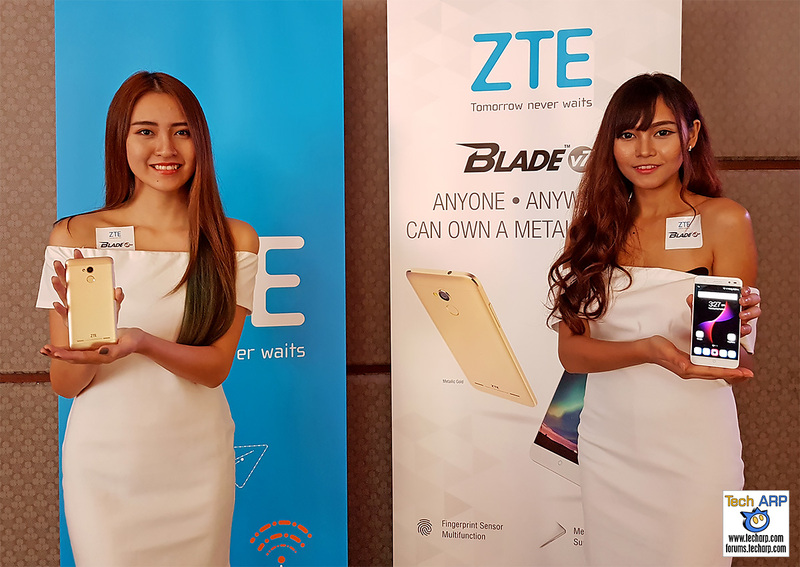 Speaking at the launch, Mr. Danny Chan, Malaysia Channel Director, S.E.A Region of ZTE Devices Group said, “The ZTE Blade V7 Lite model was designed with our customers in mind. The innovative features packed in this high-quality smartphone allow users to experience the likeness of a premium device at an affordable price of RM669 / ~US$179 (promotional price is now at RM499 and runs for a limited time only). The phone will be available nationwide, from 16 May 2016 onwards”. Along with the launch of the Blade V7 Lite, ZTE also launched the Blade V7 Max. “With affordable quality as our utmost priority, ZTE created models with ranging specifications in recognition of the varying consumer demand and budget. These two smartphones cater to the needs of every consumer segment, from students to working professionals,” added Mr. Danny. The ZTE Blade V7 Max features a slim and sleek look, with a full-metal and ergonomic body that is only 7.2mm thick. The ZTE Blade V7 Max is a 4G LTE dual sim dual standby phone which is powered by a 1.8Ghz octa-core MediaTek MT6755M processor, 3GB of RAM with up to 32GB memory. The ZTE Blade V7 Max will be available at the end of May or early June 2016 at an RRP of RM 999 / ~US$ 259. STEP 1: Like ZTE’s Facebook Page (https://www.facebook.com/ZTEMalaysia). STEP 2: Attend and post a photo of the end-user event on your FB wall, with the hastags of #ZTEMalaysia #ZTEbladev7lite and tagging three (3) of your friends. STEP 3: Show us your photo & NRIC at the ZTE counter (1 unit per 1 NRIC). STEP 4: Enjoy 50% discount on the purchase of Blade V7 Lite.